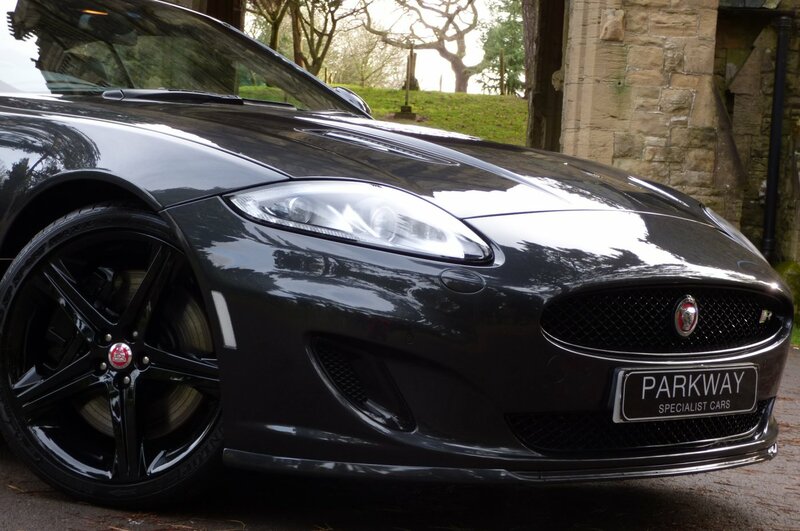 The Redesigned XK Or X150 Model First Debuted In 2005 At The Frankfurt Motor Show In Germany And Was Styled By Jaguar's Chief Designer Ian Callum. 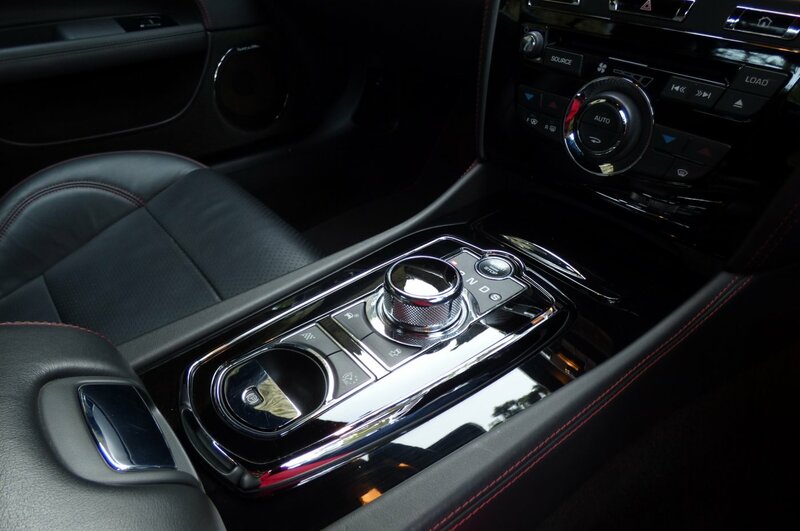 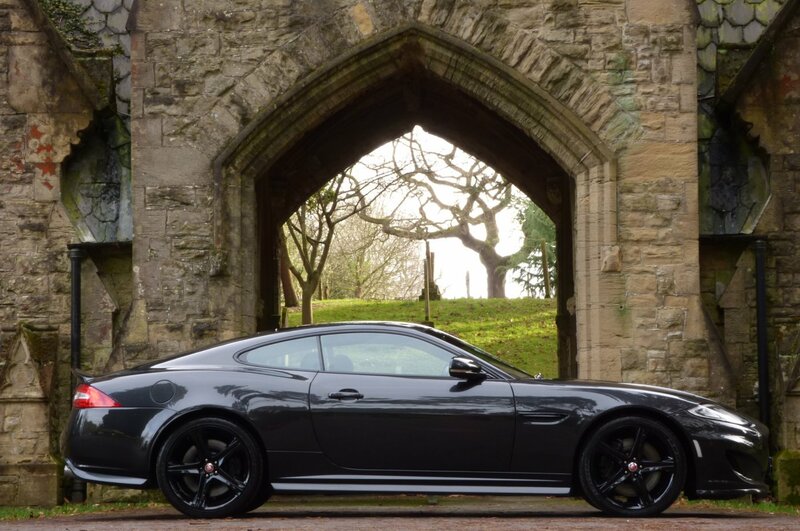 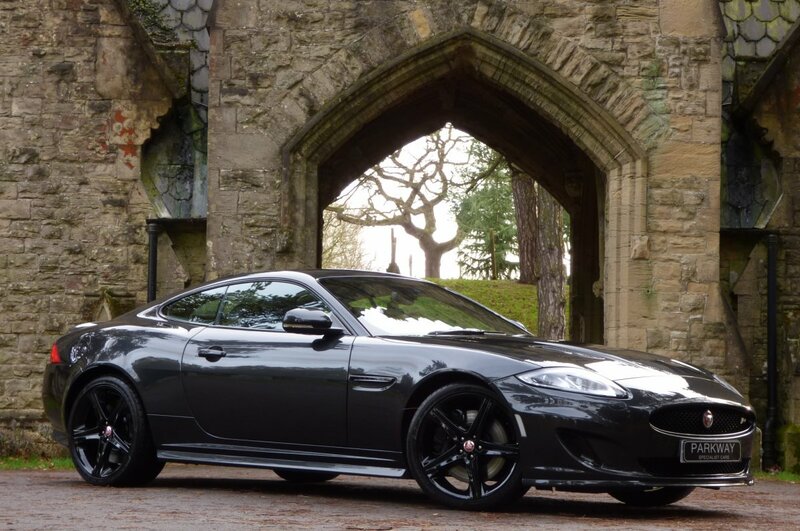 The XK Combined Extreme Performance, Renowned Luxury And Relevant Technology, Intuitively Expressed To Connect The Driver To The Car And The Car To The Road. 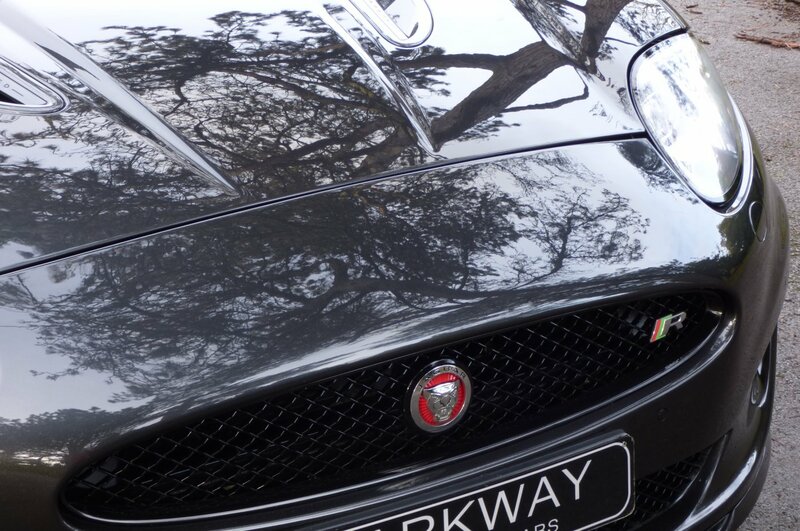 World Class Technology Is Empowering But At The Same Time Never Over Powers The Driving Experience And This Successful Recipe Has Now Meant That This Model Has Acquired New Status, Of A Credible Modern Day Classic Jaguar, Due To The Last Cars Offered In The July Of 2014 And The Sad End Of The XK Brand. 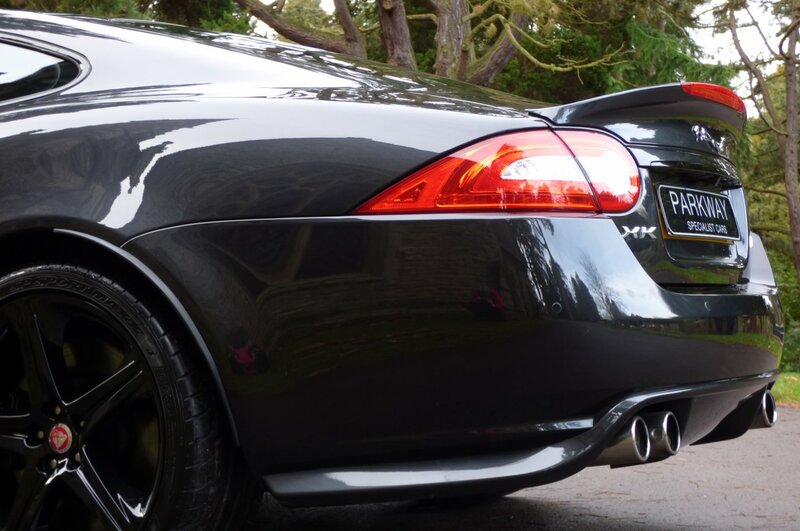 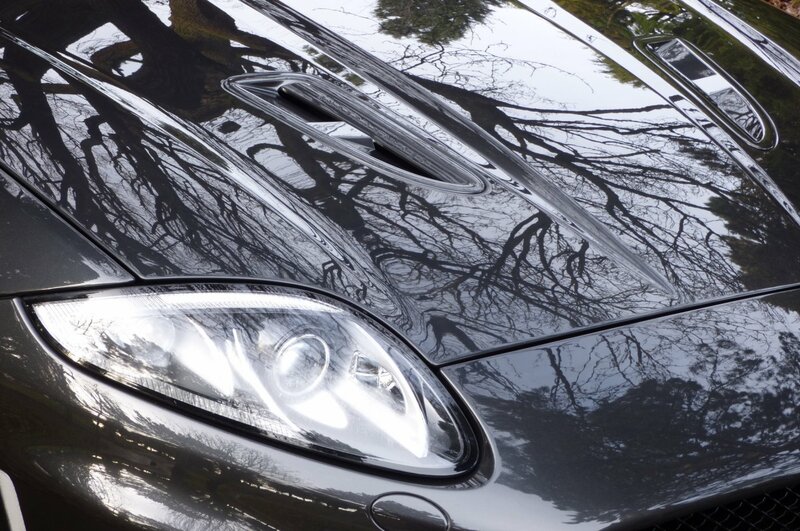 Prior To The Production Ending, The Factory Offered Us The Fabulous Jaguar XKR Model, With The All Aluminium Sculptured Body To House A Five Litre V8 Super Charged Monster That Generated A Rather Healthy 510 BHP, Which Was More Than Capable Of Accelerating Both The Driver And Passengers From 0-62 MPH In Just 4.6 Seconds, With The Very Special Example Have The Very Rare, Highly Desirable And Expensive Factory Jaguar Speed Package That Would Elegantly Glide To A Top Speed Of 174 MPH. 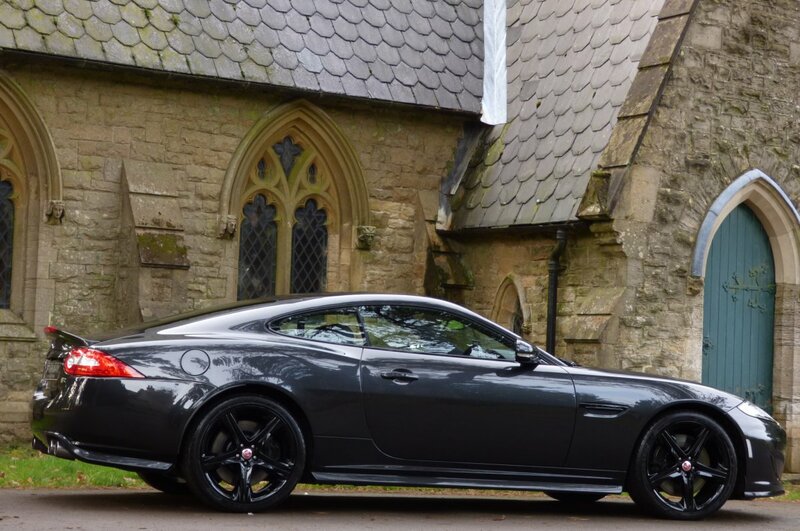 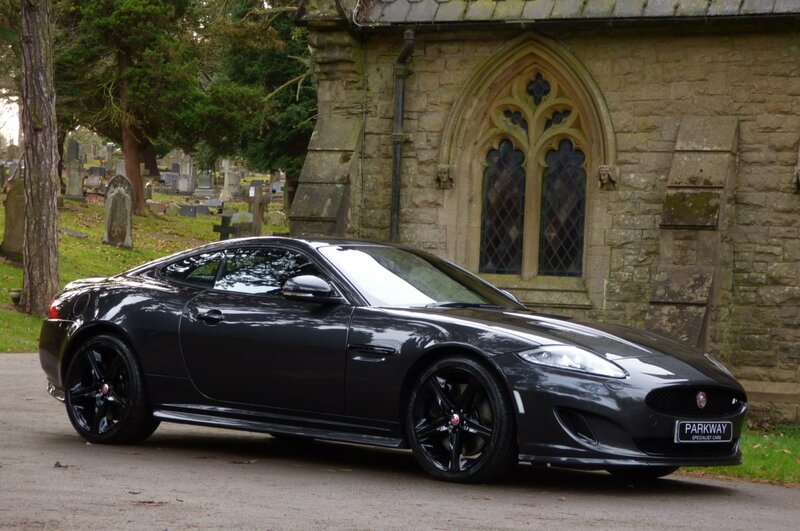 This Refined Luxury Coupe Was A Full-Bodied Performance Vehicle, Packed With High End Jaguar Technology That Delighted New And Old Clients To This Prestigious Car Brand, With These Vehicles Now Showing Encouraging Signs Of Being A Strong Contender For Being A Future Modern Day Collectable Classic Jag. 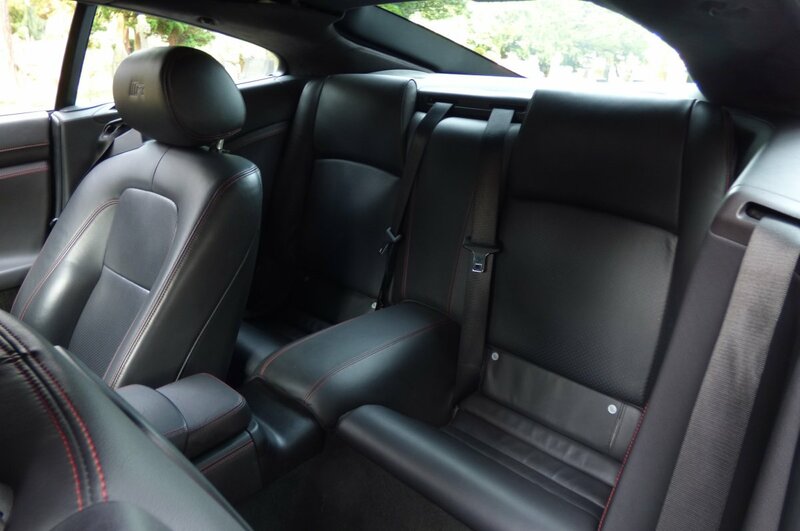 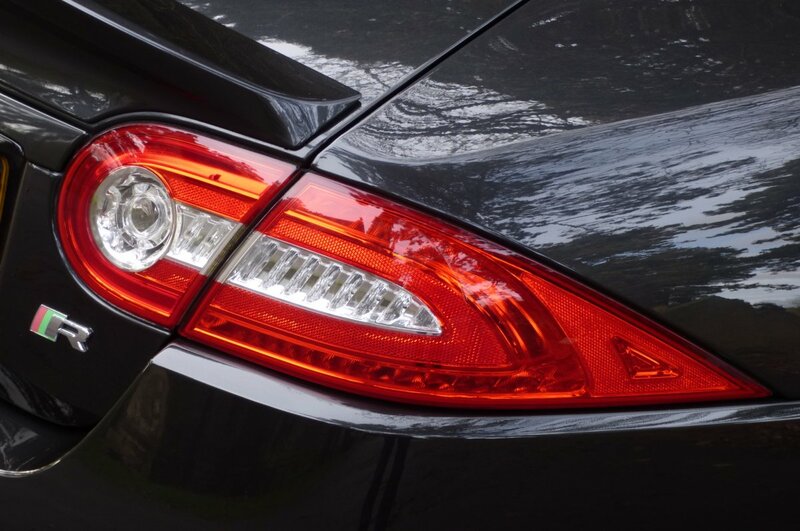 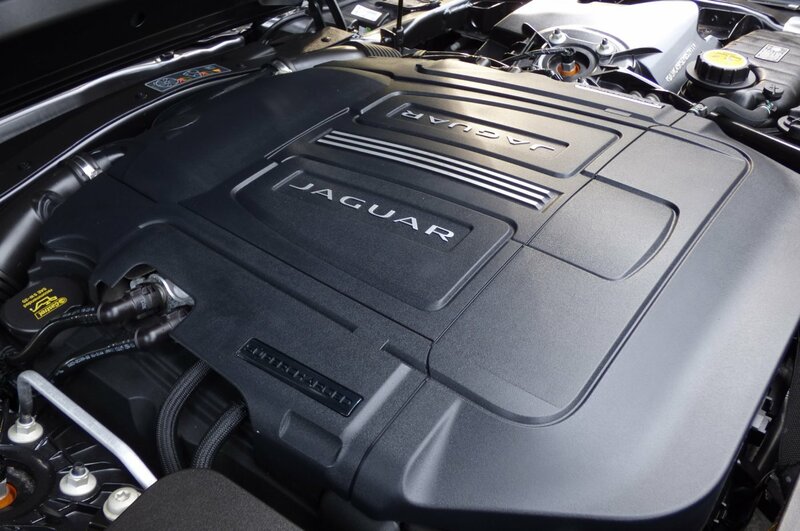 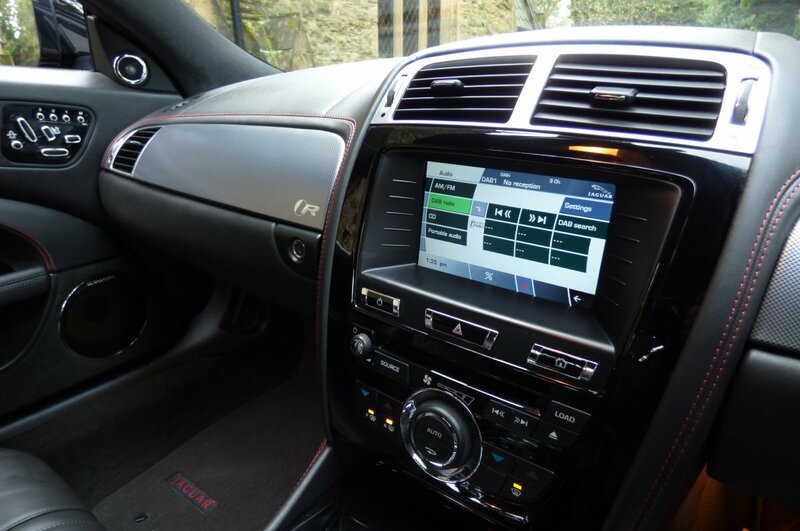 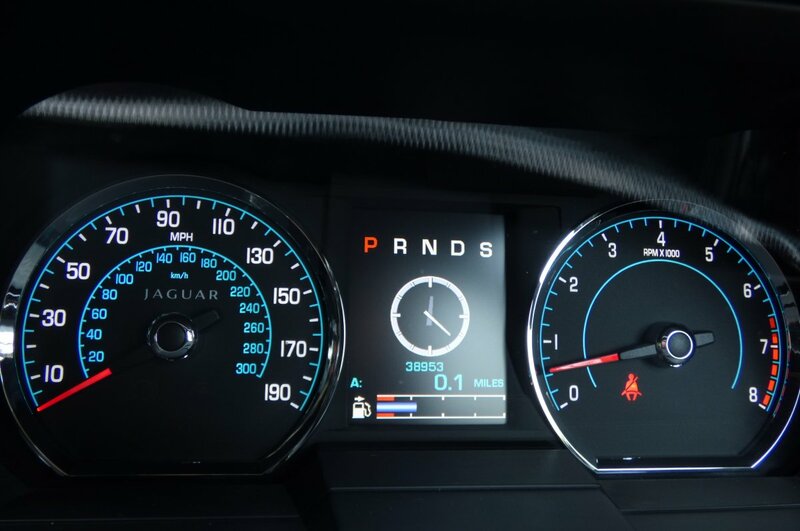 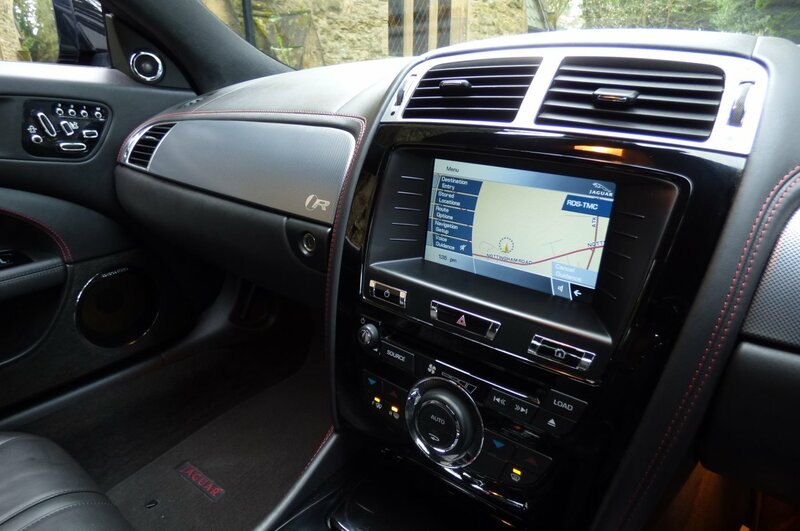 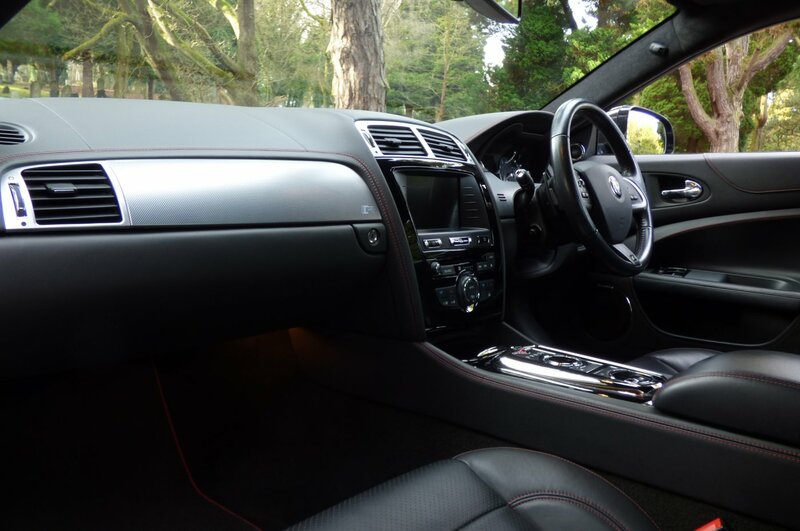 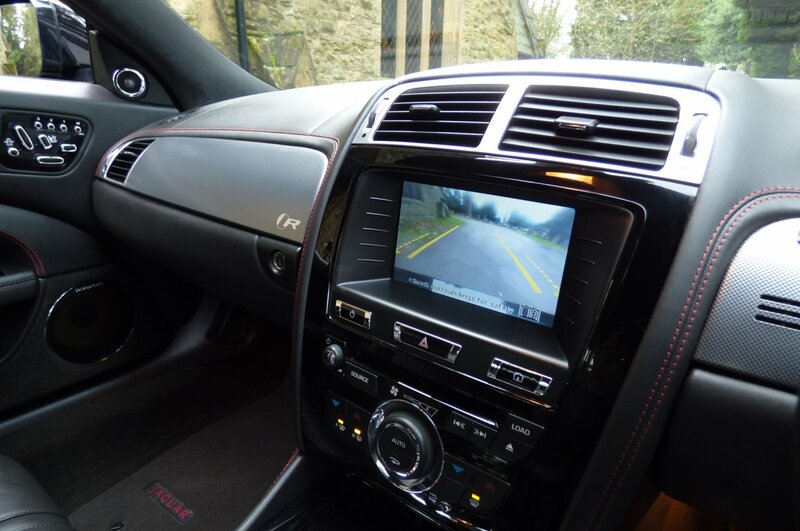 This Attractive Example Was First Supplied To The Jaguar/Land Rover Factory In The November Of 2013, Which Will Explain The Massive Options Applied From New, With The Second And Last Keeper Acquiring The Car Back In The June Of 2015. 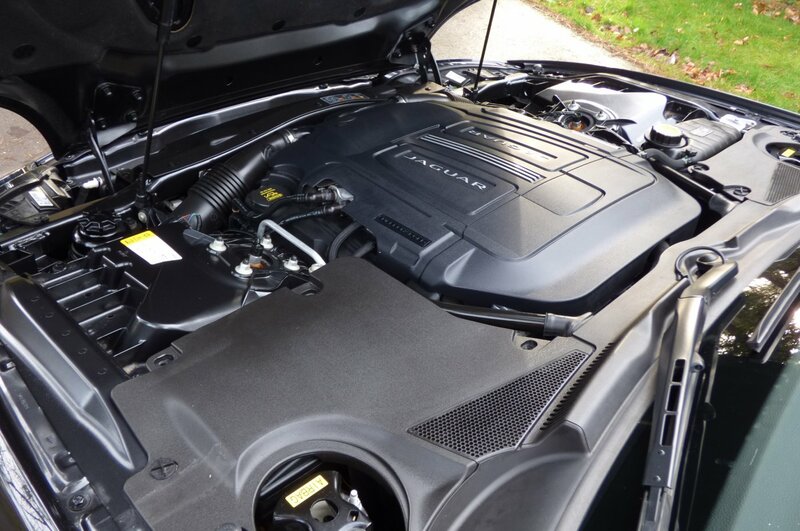 Over The Last Four And A Half Years Since The First Registration Date Chassis Number MB53911 Has Only Had 38953 Miles Applied, Which Roughly Works Out At Just 8500 Miles Per Annum, However Regardless Of This The Car Has Been Maintained By Jaguar Main Dealers With Past Historical Service Visits Logged At 9873 & 23799 Miles And Once Sold Will Have A Further Full Service Completed By Our Fully Trained & Knowledgeable Workshops Prior To The Next Lucky Custodian Taking Charge Of Their Own Ownership. 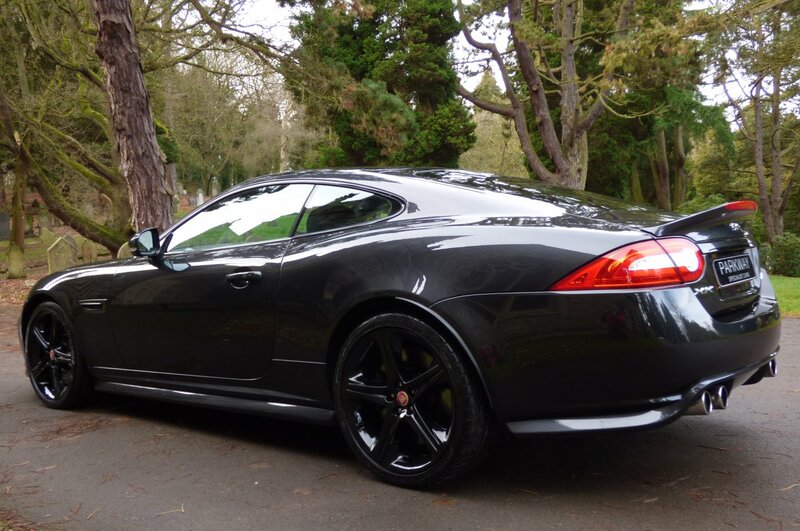 Once Sold This Perfect XKR Will Be Presented With The Entire Booklet Pack Set, A Fully Cleared Hpi Certificate, A Full Factory Build Card Listing All Those Expensive Desirable Options And A Fully Functional Key Set, All Ready For That Next Person To Enjoy And Cherish. 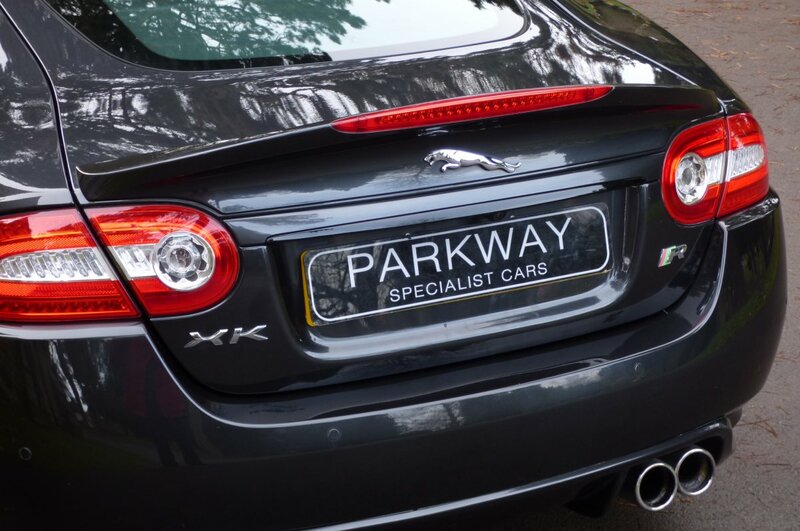 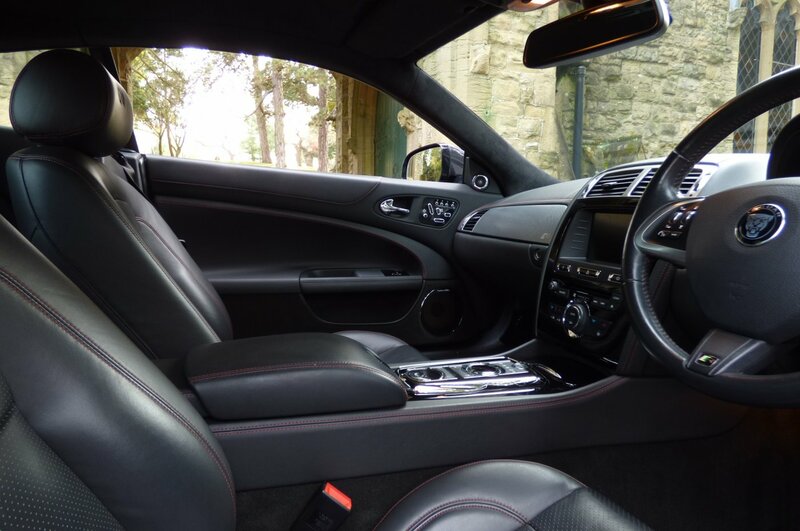 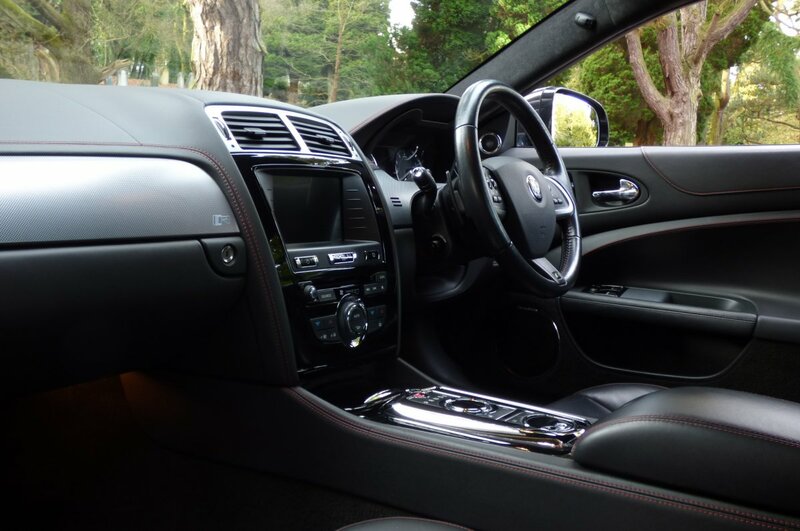 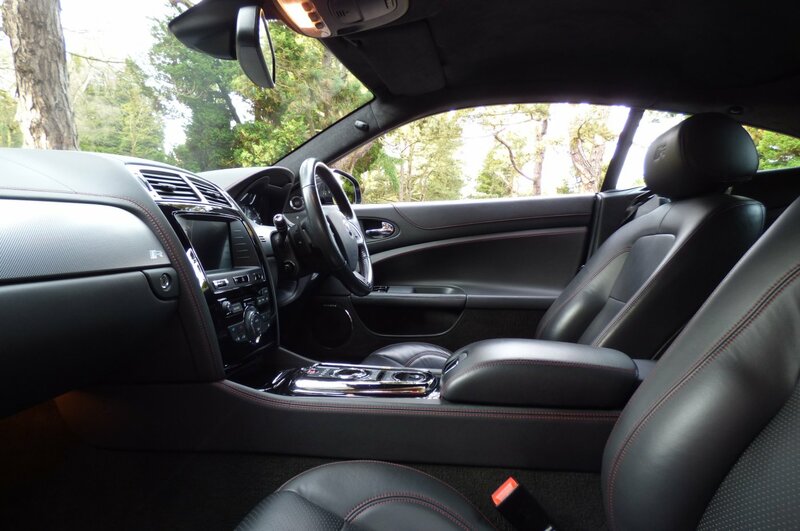 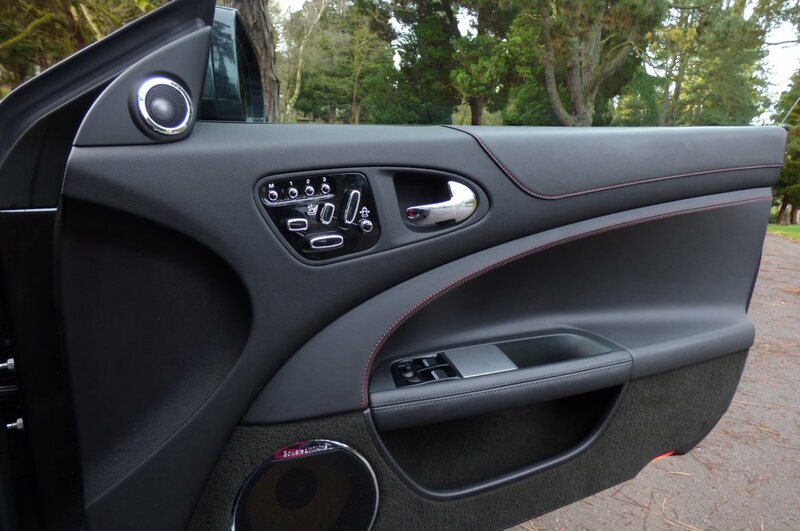 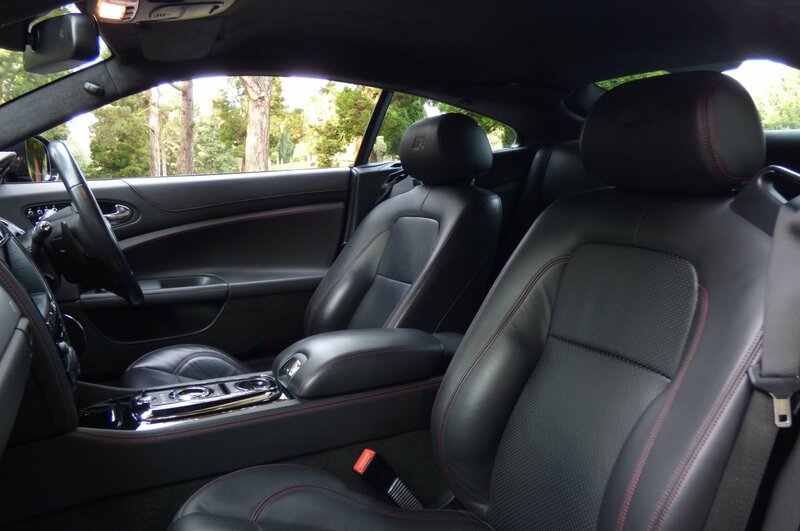 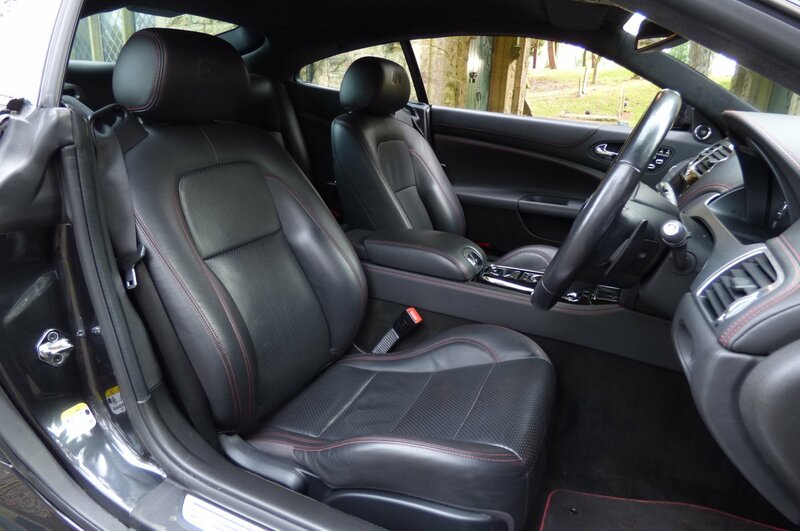 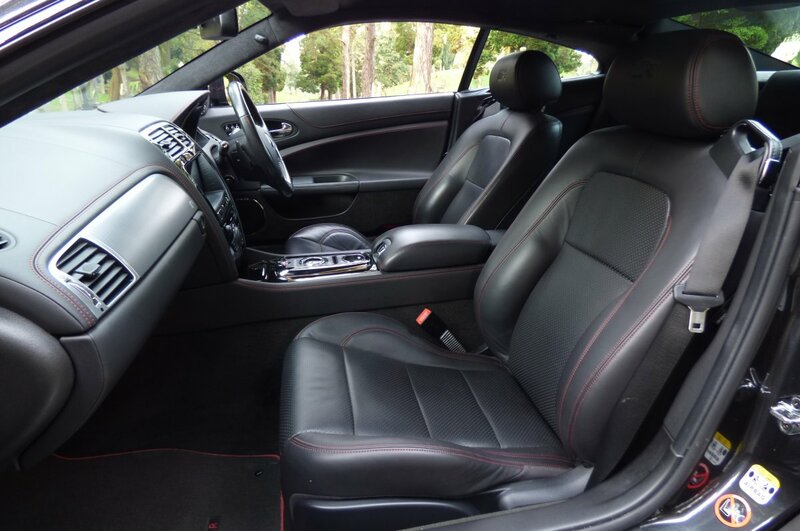 Every Aspect Of The XKR Is Ergonomically Designed To Enhance The Driving Experience, Whether Crossing Town Or For That Special Trip Into Europe. 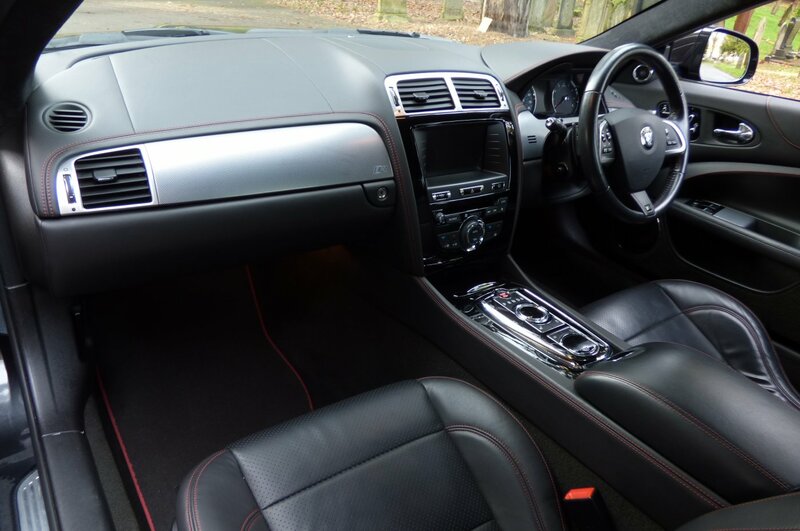 From Factory Build This Vehicle Was Opted With The R Embossed Warm Charcoal Black Leather Sport Seats Beautifully Complemented With Twin Needle Red Contrast Stitch, Flint Grey Carpets, Ebony Black Seat Belts, The Black Leather Trimmed Dash That Wraps Around This Elegant Cabin, The Dark Grey Suede Roof Lining, The Black Leather Trimmed Door Cards Again Detailed With Red Stitch And Finalised With A Mixture Of R Embossed Darkened Aluminium Weave Inlays With Piano Black Veneers. 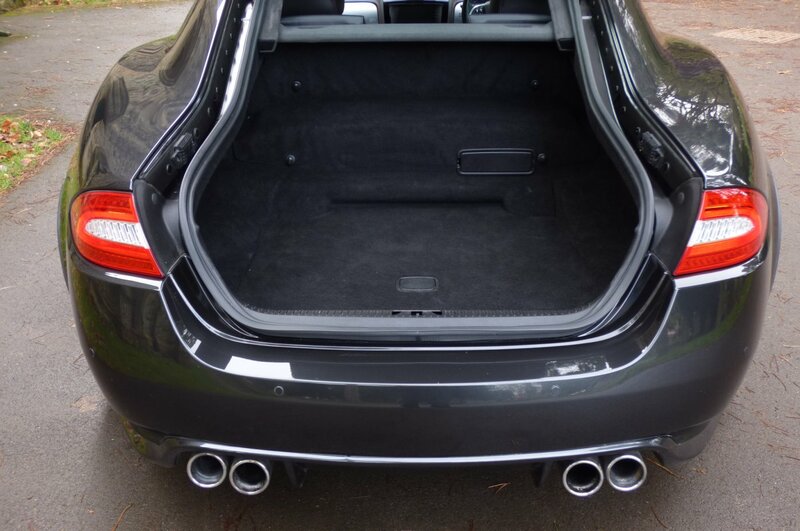 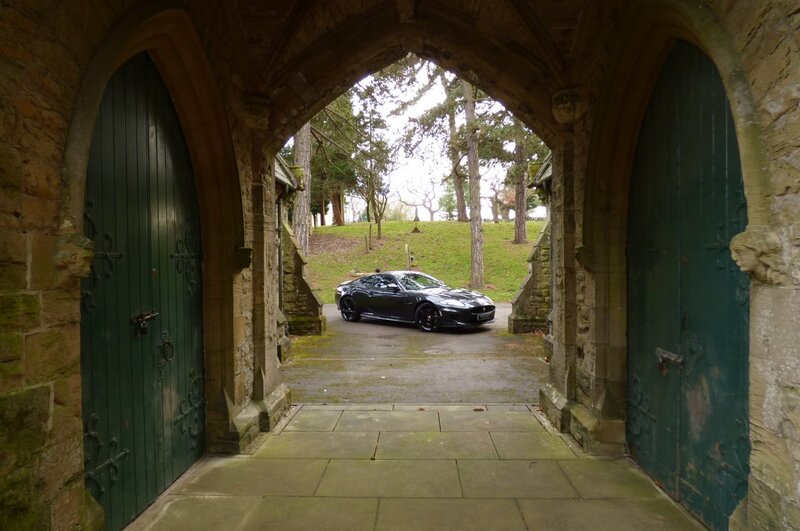 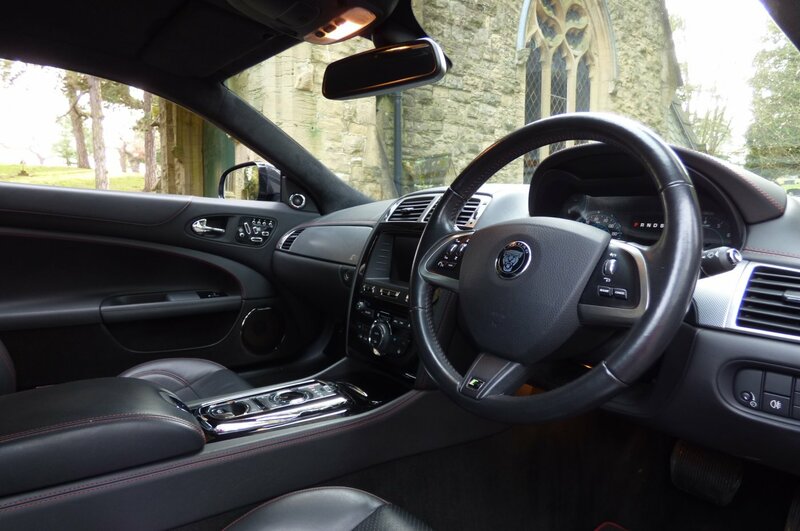 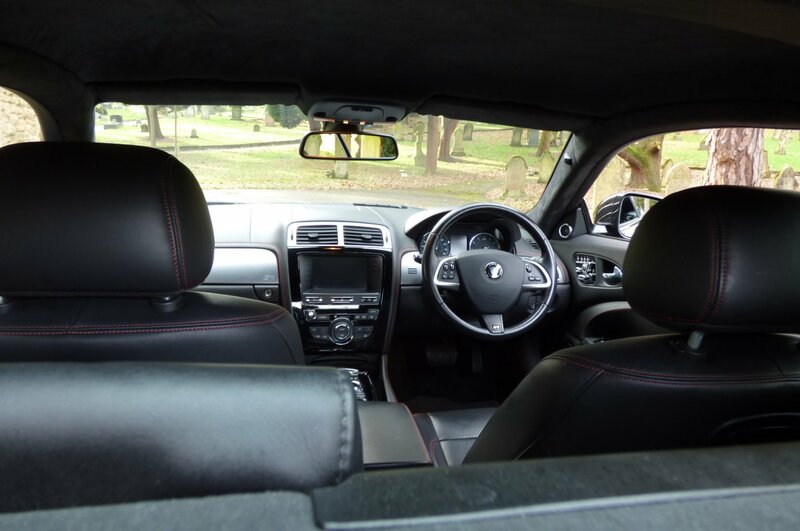 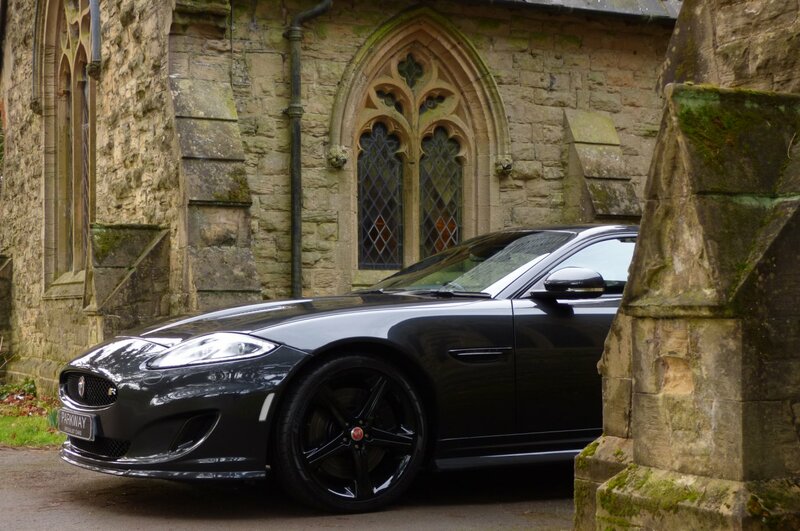 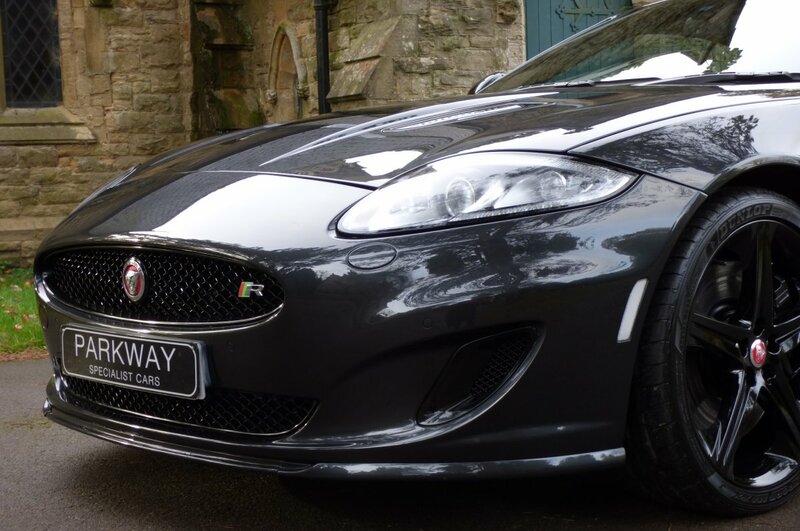 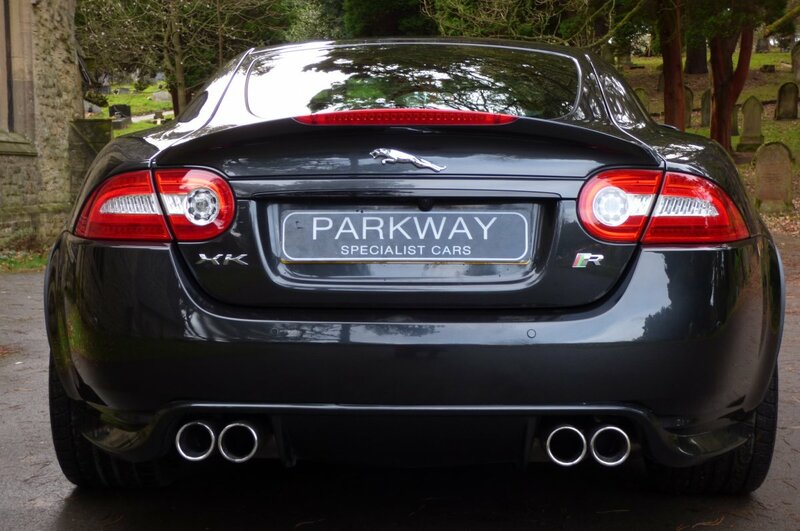 As Mentioned This Jaguar Has An Excellent Array Of High End Factory Options, Meaning That Every Trip Is Perfectly Controlled And Highly Enjoyable, No Matter The Distance Or Driving Conditions. 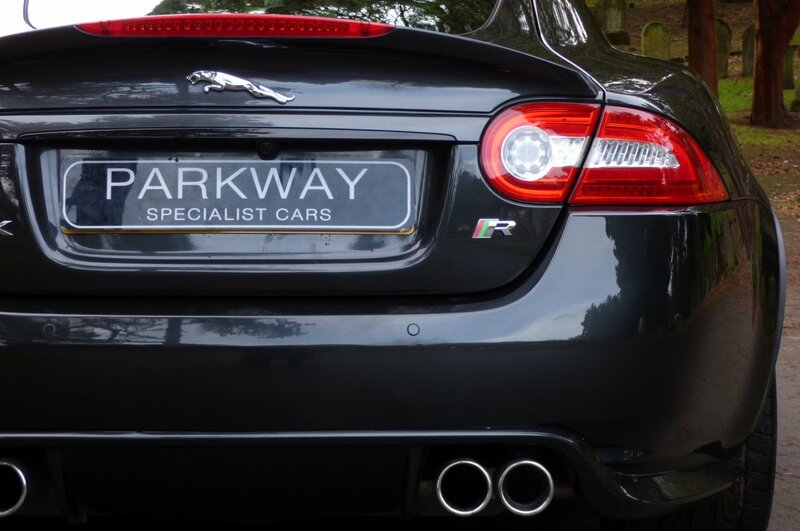 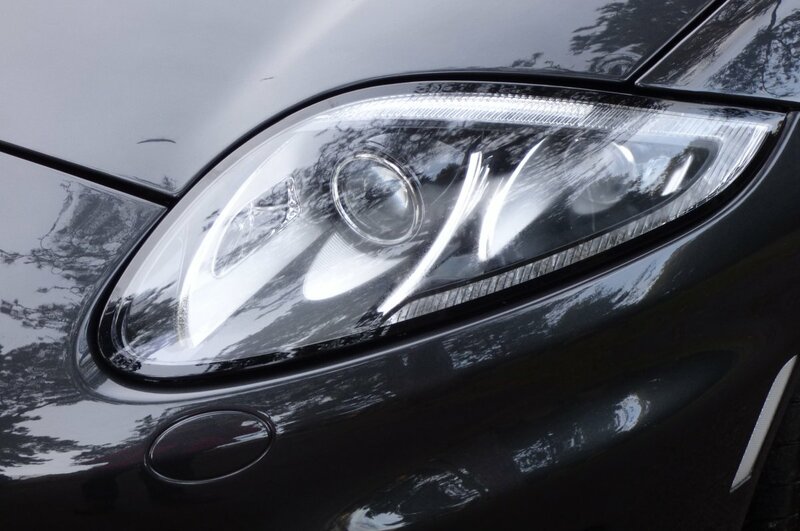 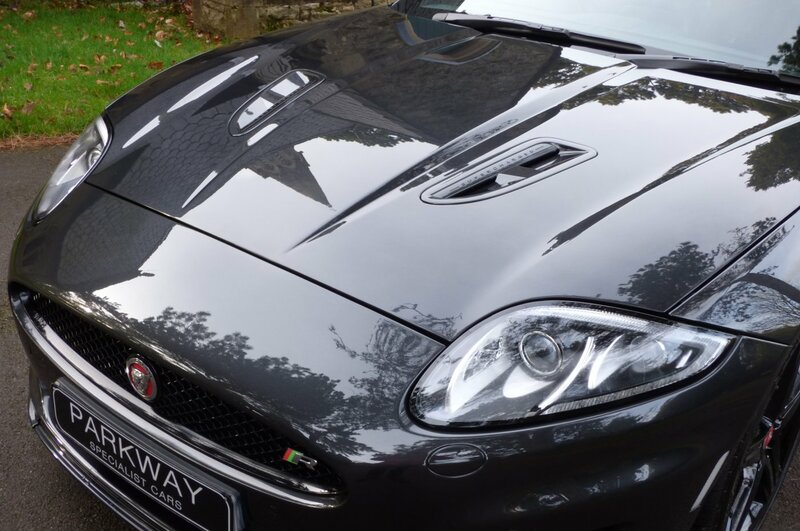 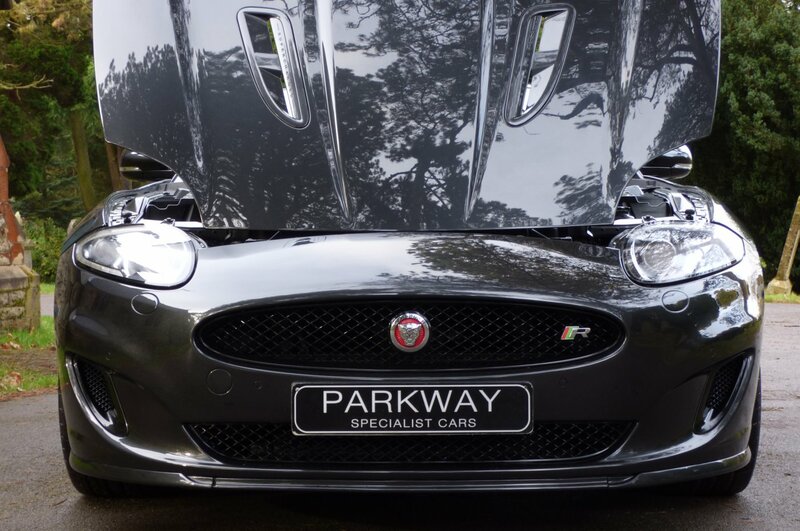 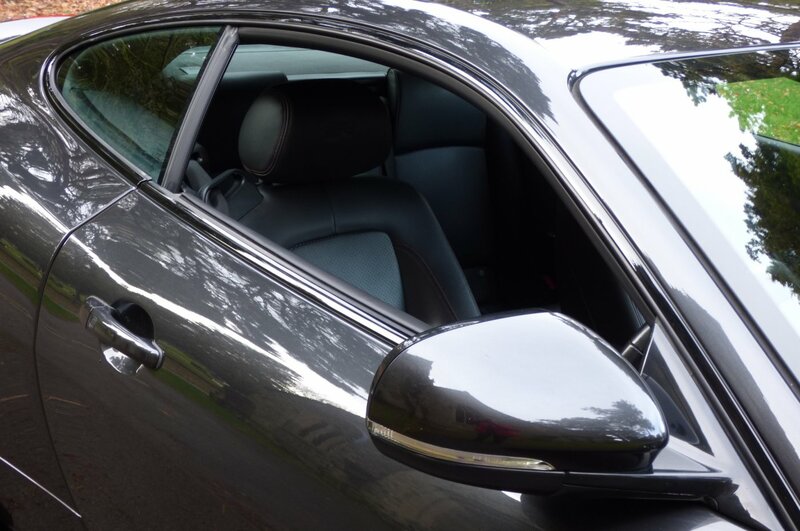 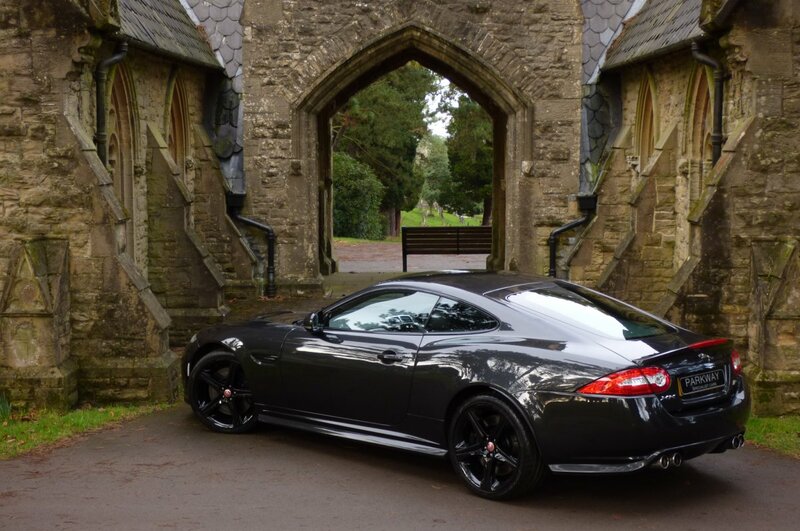 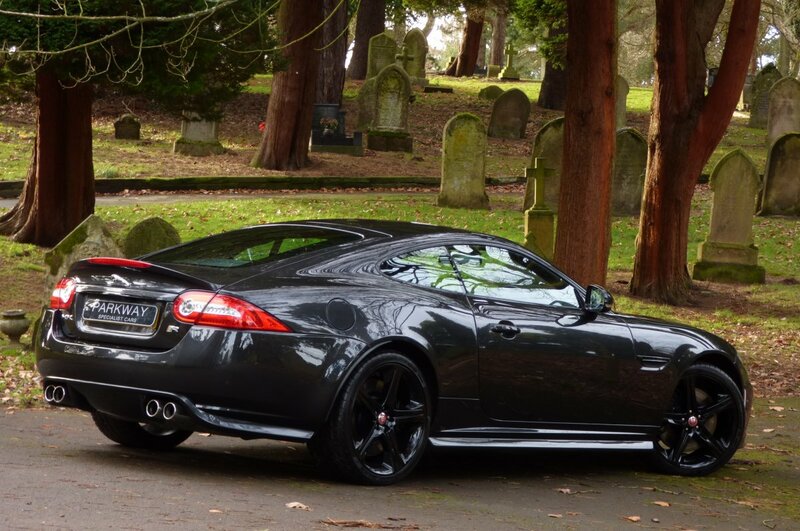 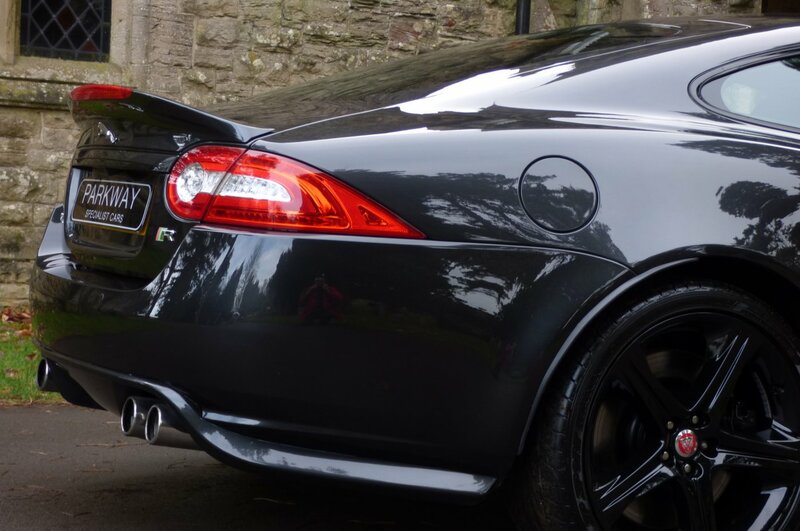 The All Aluminium Sculptured Body Is Presented In The Stratus Grey Metallic, Which Perfectly Demonstrates The Aggressive XKR Lines And The Sumptuous Jaguar Curves. 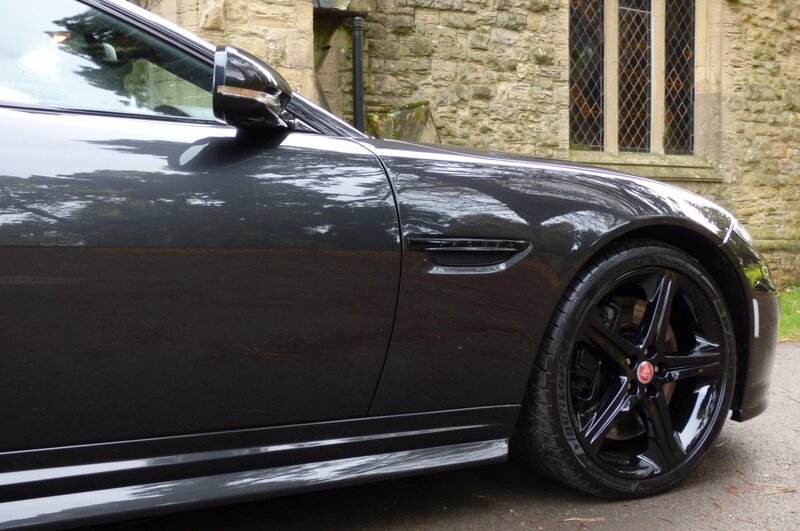 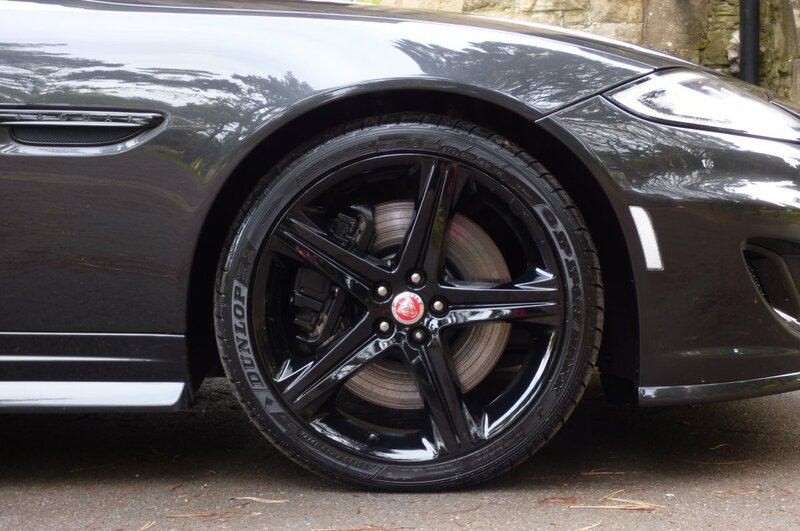 Further Exterior Detailing Is Presented With Unmarked Gloss Black 20" Five Arm Takoba Alloy Wheels Detailed With Red Centre Caps, All Of Which Sit On Branded Tyres, The Chromed Tipped Quad Exhaust System, The Colour Coded Factory Body Kit, The Gloss Black Super Charger Bonnet Vents, The Gloss Black Hexagon Front Bumper Grille Decorated With The R Badge, The Gloss Black Front Wing Blades, The Black Finished Brake Calipers And Presented With The Infamous R Motifs That Finish This Stunning Vehicle Stance. 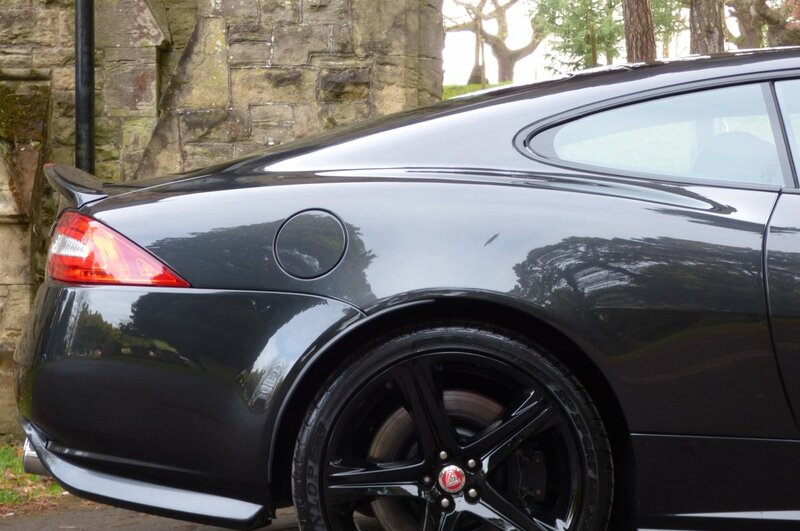 A Truly Beautifully Looking Example From Every Angle And Would Be Well Suited For The Start Of Your Own Vehicle Collection Or As Part Of An Already Established Collection. 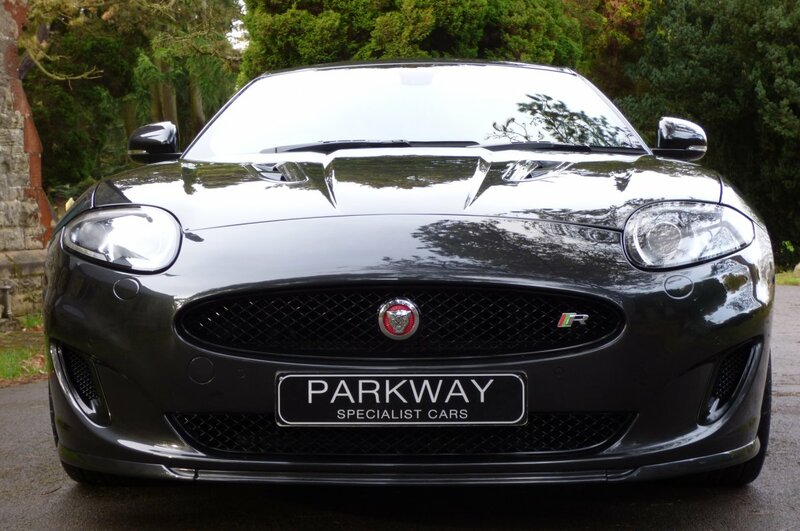 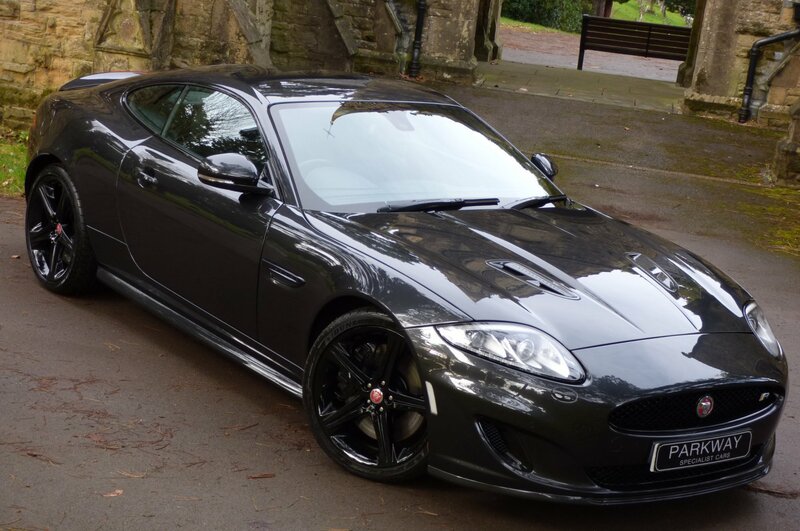 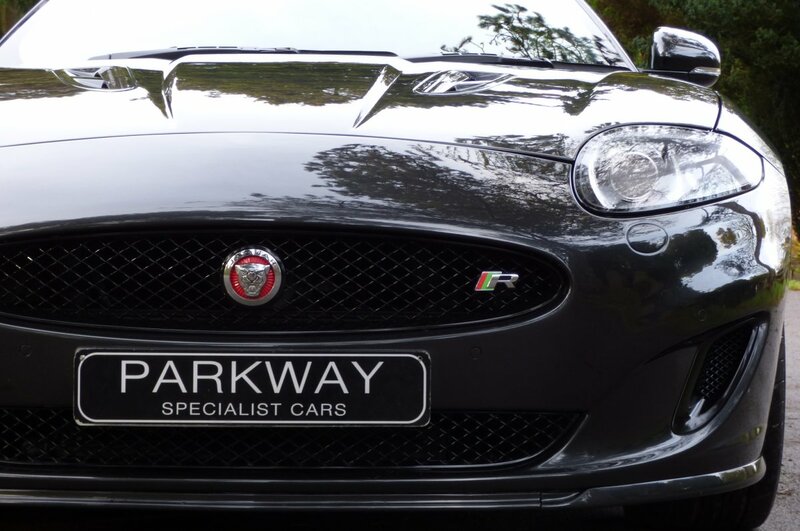 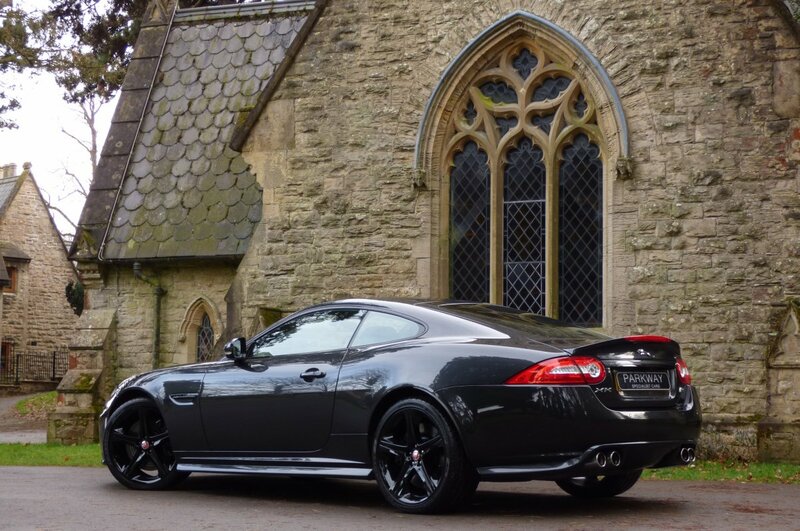 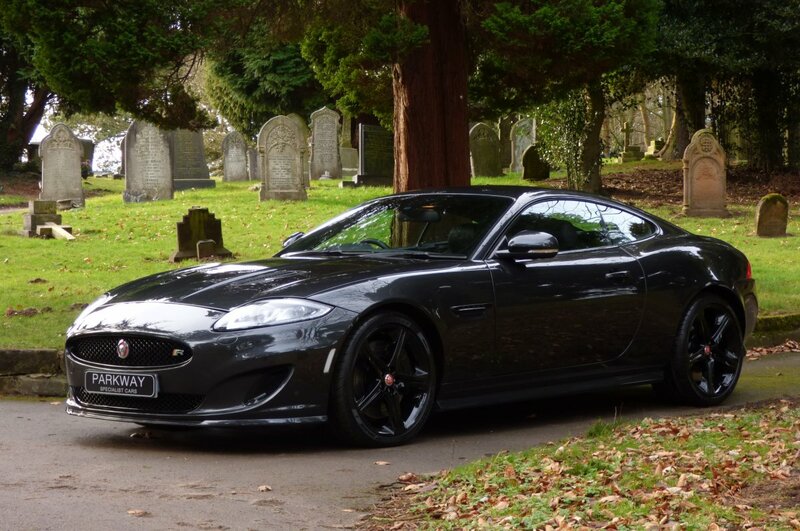 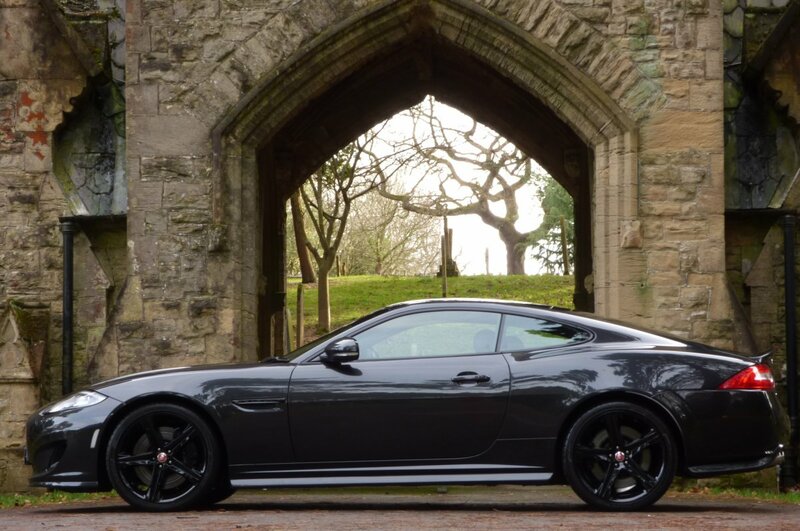 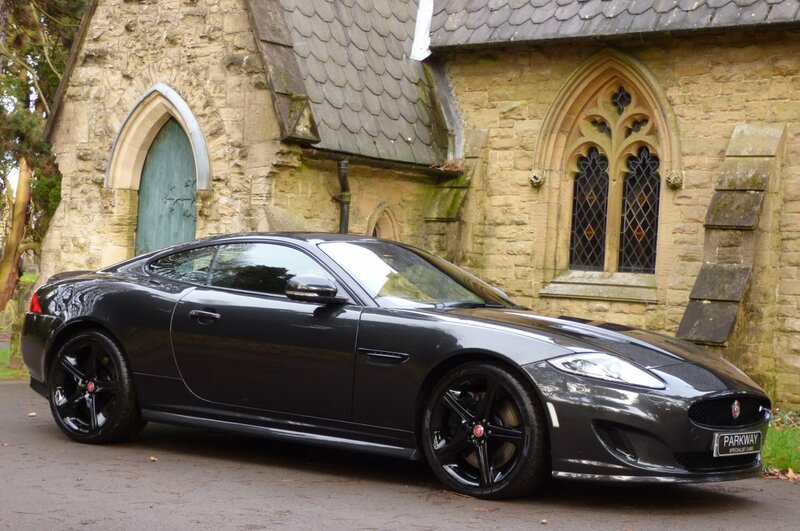 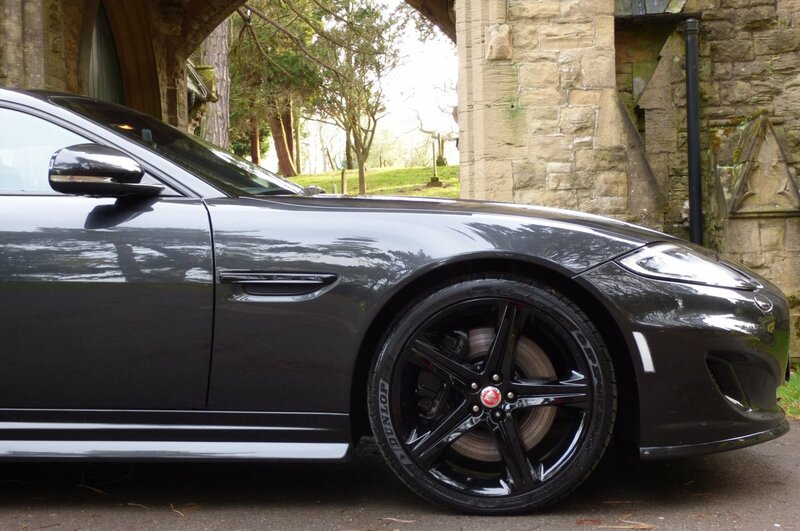 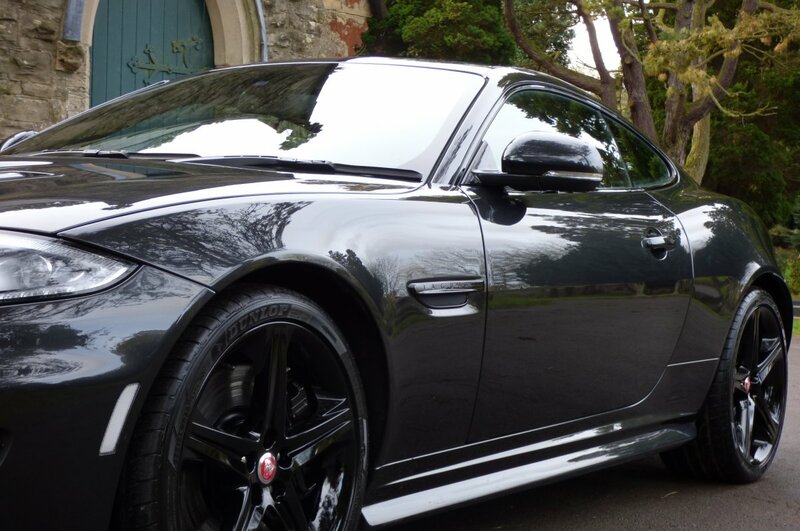 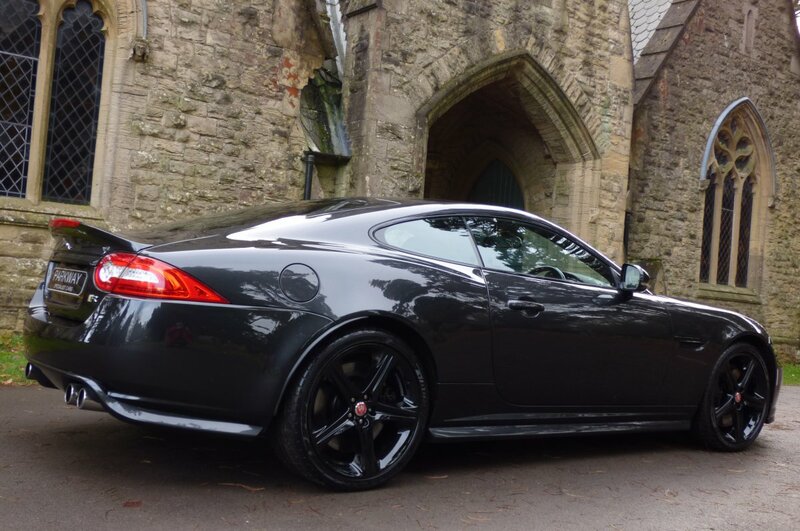 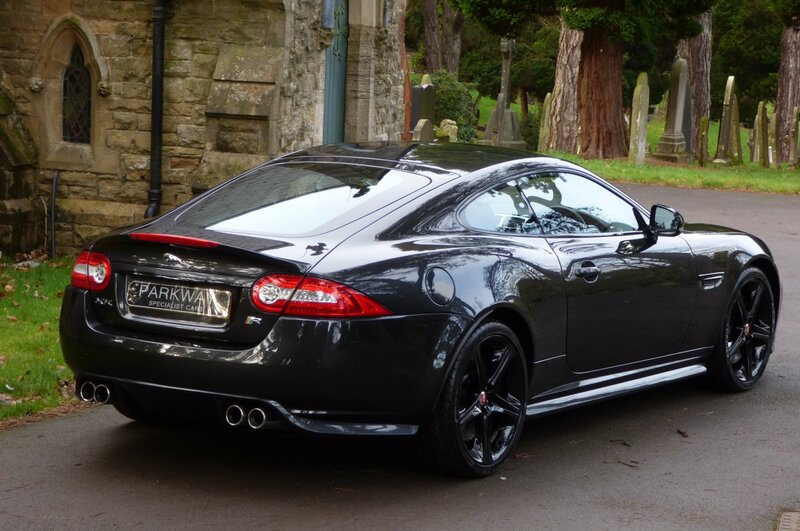 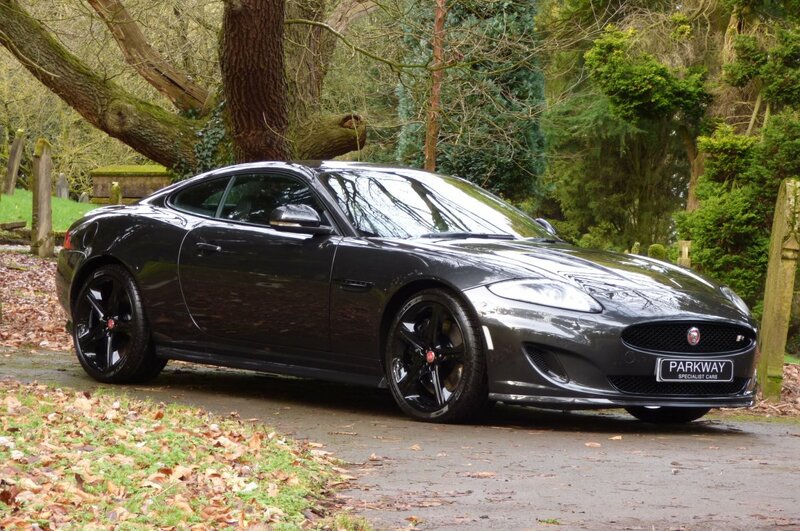 We Are Delighted To Have Available This Lovely Example Arrive Onto Our Current Vehicle Inventory With Jaguar Options To Include The Rare Jaguar Speed Package, Unmarked Gloss Black 20" Five Arm Takoba Alloy Wheels, Dual Zone Climate Control, The Factory Body Enhancements, Variable Heated Front Seating With Cooling Function, Active Xenon Headlights With Power Wash Function, Bluetooth Phone Preparation, Cruise Control, Front And Rear Park Distance Control With Colour Camera, Heated Front Screen, Electric Memory Front Seats, Key-Less Entry, Full Colour Information Screen With Satellite Navigation, Bowers & Wilkins Sound Package, DAB Digital Radio, The Three Spoke Leather Bound Multi Functional Steering Wheel With Paddle Shift, Rain & Light Package, Push Button Start, Heated Steering Wheel, Electric Folding Mirrors, I Pod Connection, Jaguar Trip Computer, Daytime Running Lights, Remote Central Locking With Alarm & So Much More.  Presented For Sale With The Entire Booklet Pack Set, A Fully Cleared Hpi Report And The Full Key Set..